We're all in this together, nerdfighters. The Fault in Our Stars premiered on June 6 and the world hasn't stopped crying since — not even Hollywood stars can hold it together. 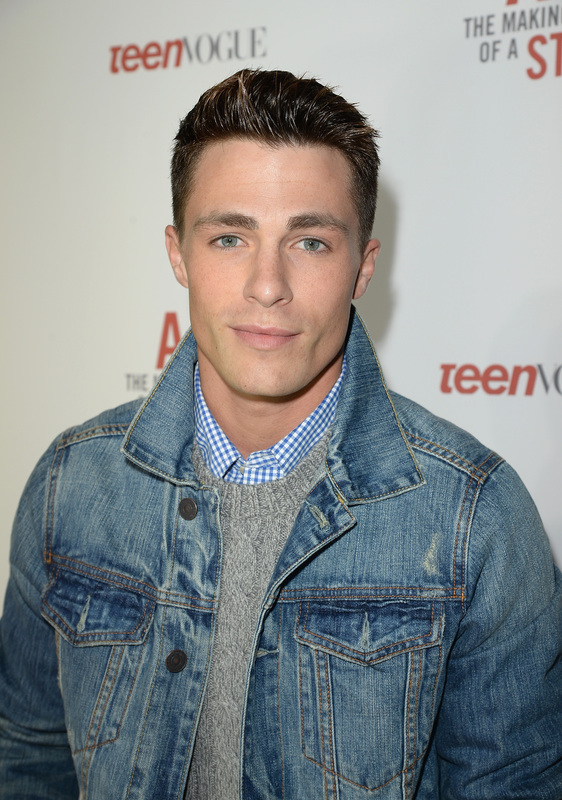 On Wednesday night, the star of CW's breakout superhero series Arrow, Colton Haynes, saw the film adaptation of John Green's 2012 novel. And, well, just like the rest of us, he's overcome with the feels — Haynes posted three times between Twitter and Instagram about how he felt after seeing Gus and Hazel's love story unfold and apparently, he wants Shailene Woodley and Ansel Elgort to buy him a new shirt. The 25-year-old actor (yes, 25-year-olds are allowed to see this movie, too — don't be a hater) took to social media where he employed the sobbing emoji and quoted Gus and Hazel's flirty, signature expression of love. Sigh — we'll never say or hear "okay" the same again. Haynes also praised Woodley and Elgort for their performances, but demanded that he be compensated for his resulting broken heart and his T-shirt. (I can only assume it ended up being soaked in his tears.) Which, TFiOS fans can all relate to (not the compensation part) but the overall heartbreak and existential pain that resulted from seeing Green's novel on the big screen. The actor asked in the caption of his Instagram post, "Why didn't any of ya'll warn me?" Sorry dude, but like pain, TFiOS demands to be seen and subsequently felt.